Scaling of data may be useful and/or necessary under certain circumstances (e.g. when variables span different ranges). There are several different versions of scaling, the most important of which are listed below. 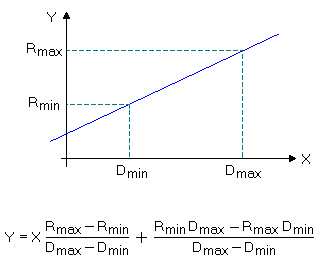 Scaling procedures may be applied to the full data matrix, or to parts of the matrix only (e.g. columnwise).